Congrats Deb! Have a blessed day! Deb-you are a lucky lady today. 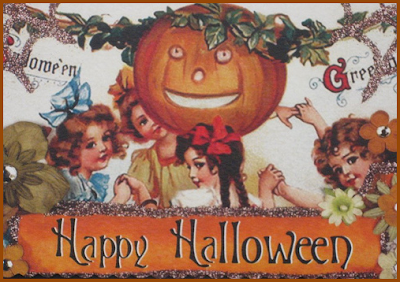 Oh, yes and I like the cute little vintage Halloween picture! Congratulations to Deb! What a great prize. Love the Halloween card too!